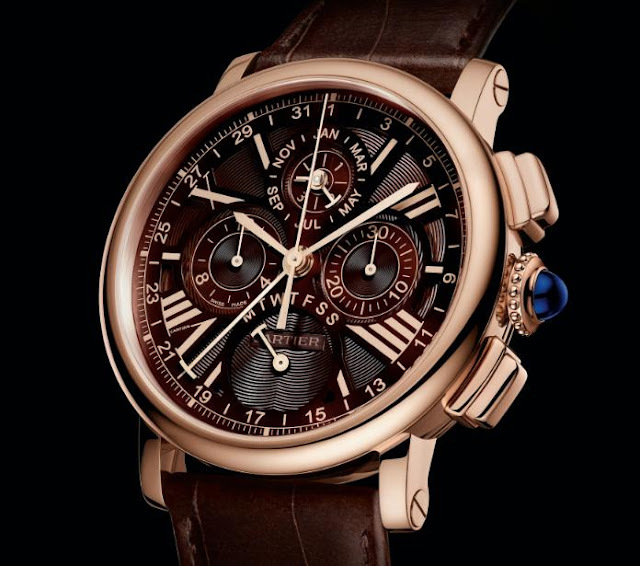 Following on from the sparkling Rotonde de Cartier Panther with Granulation, this is another pre-SIHH peek at what Cartier has in store for 2013. 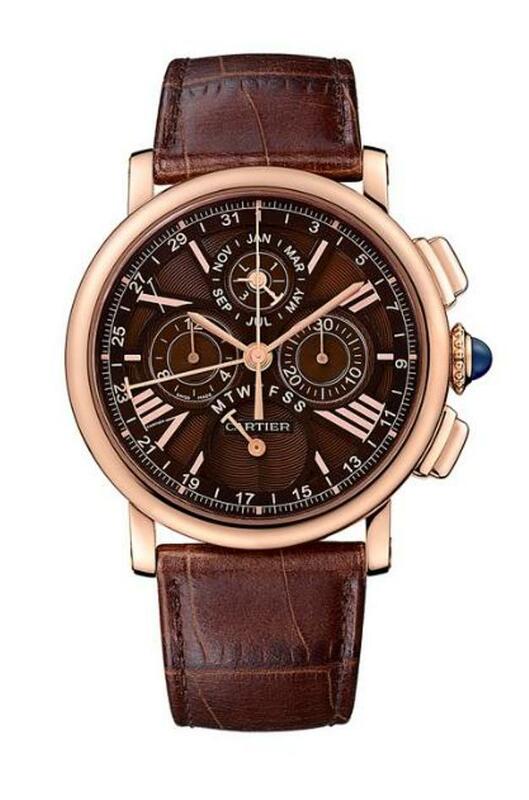 Here is the Rotonde de Cartier Perpetual Calendar Chronograph, available in white gold with a silvered dial and rose gold with a warm chocolate dial, each topped with a cabochon on the top of the crown. Cartier has made plain its intentions to create some exquisite high-end watches un der its Cartier Fine Watchmaking banner, and this is certainly a worthy addition to the Rotonde collection. Two of haute horology’s favourite complications are masterfully and legibly contained within a perfectly sized 42mm watch; the perpetual calendar and the chronograph. So the watch is capable of recording not only thousandths of a second, but also the passing of generations. 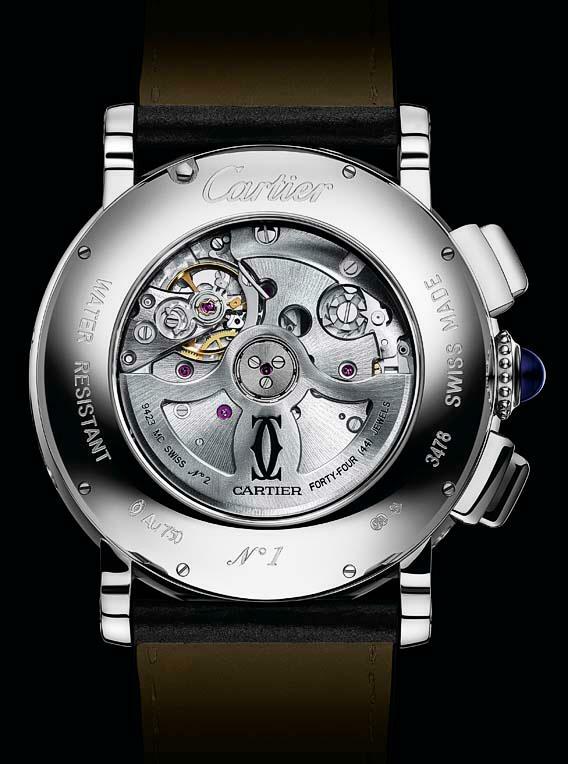 The watch is powered by the new in-house Cartier calibre 9423 MC, an adaptation of the Calibre 1904 MC CH, featuring two barrels, an in-line flexible lever that reduces stress on the bearings of the hand shafts when resetting, and a column-wheel with vertical clutch to ensure a fluid start and stop. The movement is composed of 445 individual components, 44 jewels and a power reserve of 48 hours. 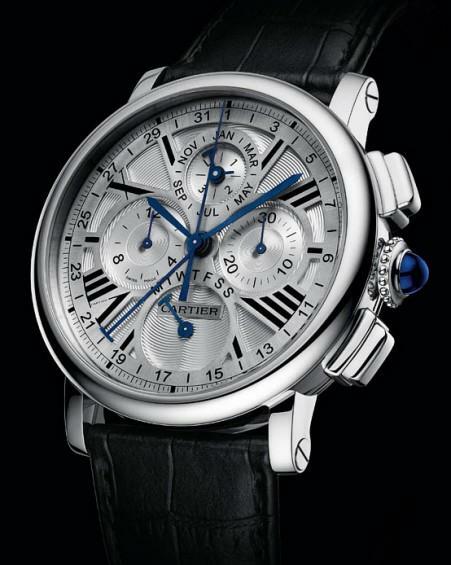 All created to immaculate Cartier specifications including guilloche, snailing, satin finishing, and trade mark Cartier blued sword hands. Price is expected to be in the $60,000-$70,000 range.